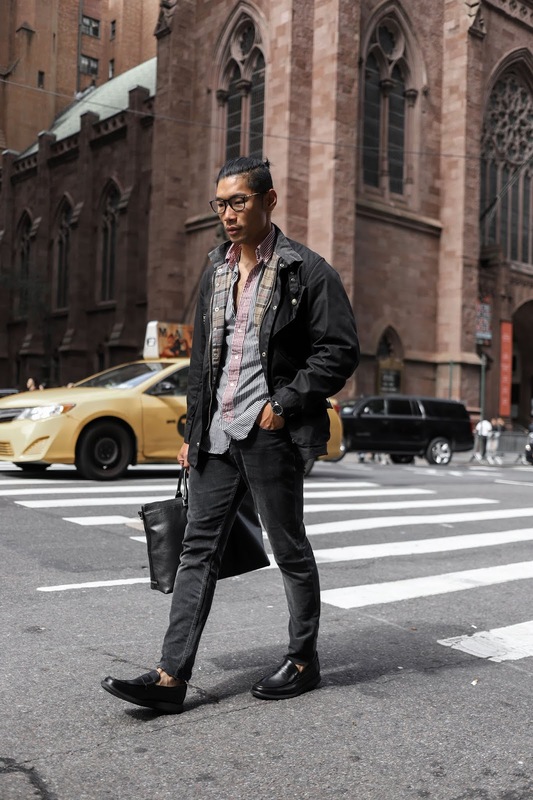 Fall is in full effect here in NYC and here’s a great outfit that’ll keep you ready for anything this season throws your way. 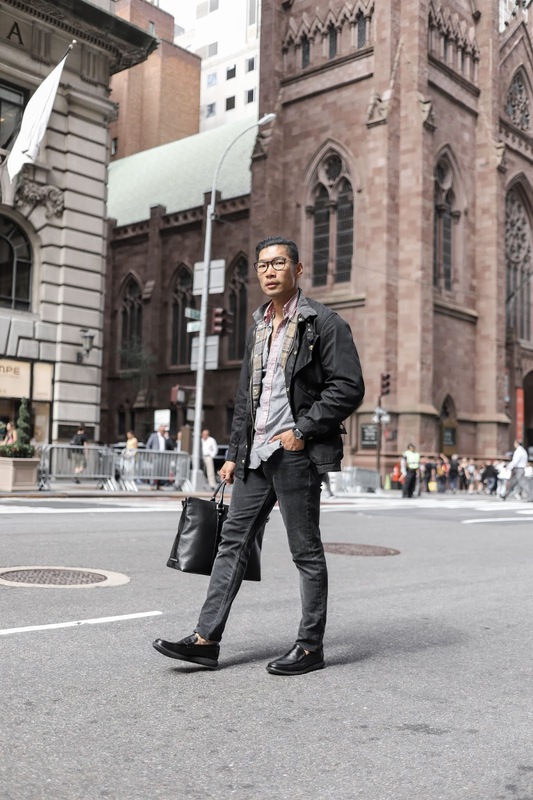 The Sperry Kennedy Penny Loafer is perfect for all day in the city. The classic penny loafer style is perfect for work and comfortable to be worn all day. 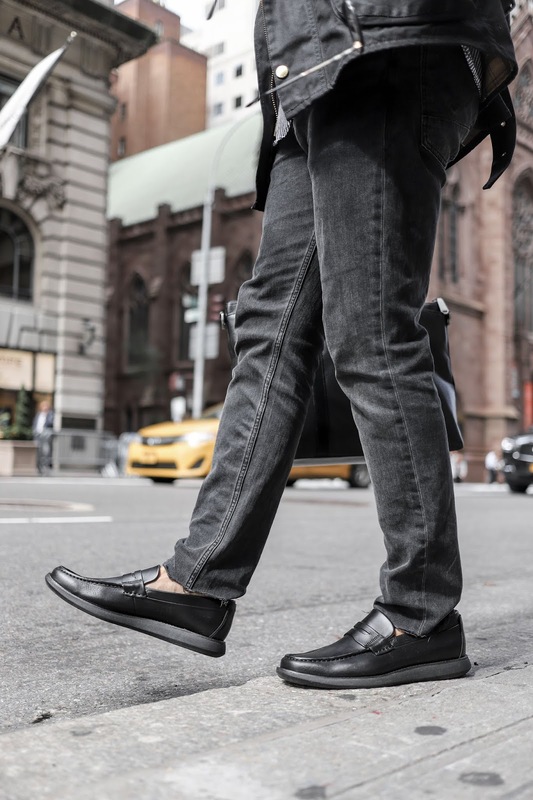 The Kennedy Penny Loafer has it all. The loafer features rich leather and nubuck upper for texture and durability, all-day comfort with plush foam rubber outsole that is super lightweight. Pair the loafers with the Barbour international jacket for a sharp stylish Fall look. 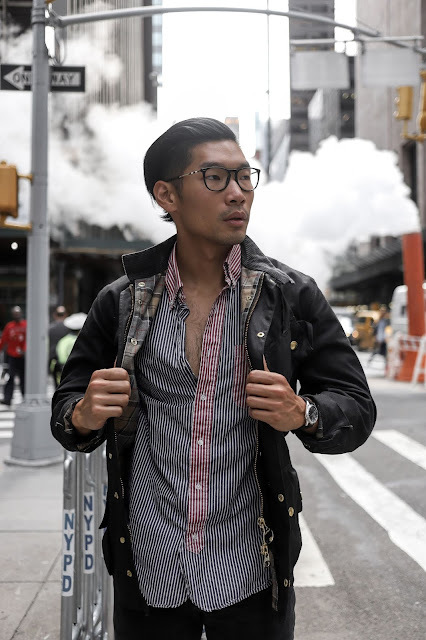 A jacket that can handle any Fall weather especially the gloomy days. 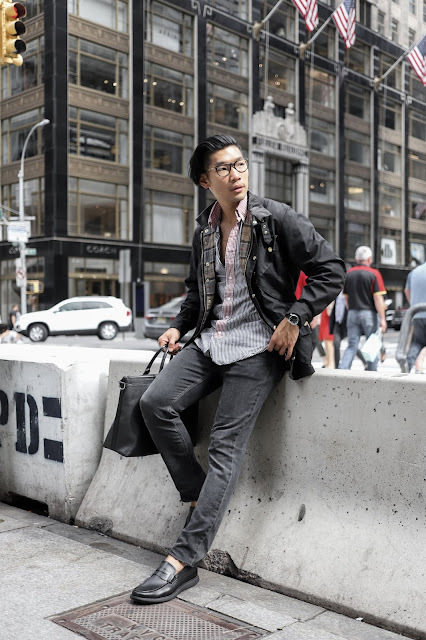 For a touch of preppy style: go with a striped oxford shirt and jeans. 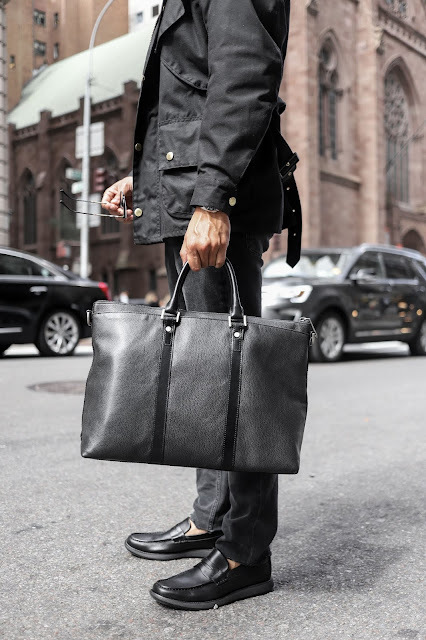 Finish off this look with black leather accessories like the briefcase and automatic watch.